The 7 Noahide Commandments were given through Noah, and again at Mt. Sinai at the time of the “Ten Commandments” for Jews. The timeline at Sinai is shown here. The Oral Torah explains that the 7 Noahide Commandments are encoded in the verse Gen. 2:16. Furthermore, 5 are explicitly found in verses in Genesis, and one is found in Leviticus. 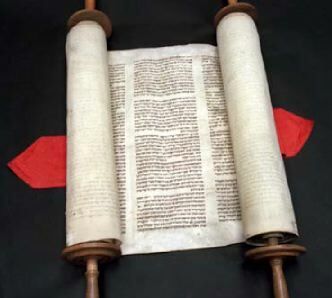 G-d’s Law given through Moses is the Written Torah (Five Books of Moses) and an orally-transmitted component with essential details and the correct explanations. At Mt. Sinai before the 10 Commandments, the Israelites made a covenant on the laws commanded to Adam and Noah and other laws introduced at Marah. How was this done? Rambam’s 13 Principles of Faith explain and emphasize the fundamental principles of monotheism as revealed in the Torah which Moses received from G-d. The Seven Noahide Laws are Divine Commandments, found the Written and Oral Torah, which are authentic revelations that Moses received from G-d on Mount Sinai. The Seven Noahide Commandments have their basis in the Written Torah and Oral Torah, which are authentic revelations that Moses received from G-d.